There are many words to describe Grenada, but according to the Chief Executive Officer of the Grenada Tourism Authority, it’s the people that truly define the destination, reports Press Today’s Ann Ruppenstein. Like its Caribbean neighbours, Grenada offers a plethora of sun, sand, and sea, but it’s also known for another ‘s’ – spice. Dubbed the Isle of Spice and the spice of the Caribbean, Grenada is one of the largest exporters of nutmeg and mace. Traces, and the scent, of nutmeg can virtually be found all over from special cocktails to therapeutic sprays (Nut-Med) and even on apparel and bags created by Nutmeg Design Company’s Jessie-Ann Jessamy. Located closer to South America than the Windward islands to the north, Grenada may be relatively small with a population of 110,000 across 133 square miles, but it packs a variety of unspoiled natural wonders, activities and sights for clients to discover. 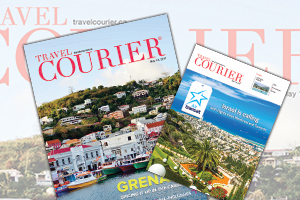 For the full story, check out this week’s digital edition of Travel Courier by clicking here.